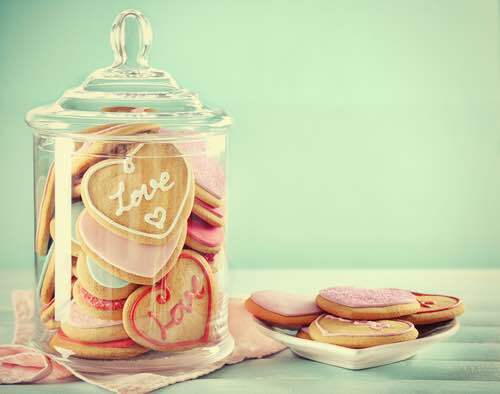 Don't you just love old fashioned cookie jars? If you're like me, I bet you can remember sneaking cookies out of your Grandma's cookie jar when her back was turned. I can picture that old jar now. It wasn't fancy, but that unassuming container became forever etched in my memory. These celebrated containers are the creators and preservers of fond memories and reminiscences of simpler times past. They can give any kitchen an aura of warmth, comfort, and family. No family kitchen is ever complete without one or two on display. Nowadays, we have available hundreds of cookie jars of all shapes, colors, and sizes for collectors of all ages. And all collections are different. Some people love collecting them in animal shapes, while others prefer shapes that depict people. The following video shows one man's unique collection of head-shaped jars. Now, that's different. 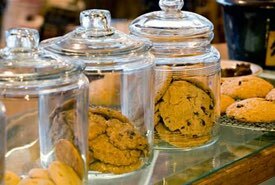 Today's cookie jars evolved from the old English biscuit jars or biscuit barrels that began to appear in the late 1700s and became popular in the Victorian Era. These early cylindrical or bowl-shaped containers were made of earthenware, porcelain, or glass. Some were anything but plain in appearance, featuring colorful hand-painted designs, and sometimes silver-plate engraved lids. However, it wasn't until the late 1930s that today's style of decorative ceramic containers in their variety of novel shapes and sizes began to arrive on the scene. And the rest, as they say, is history. 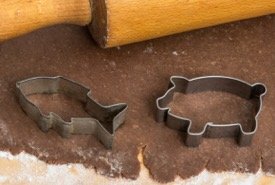 Many are still used to store the family's homemade cookies, but many others are purchased as prized collectables only for display. Fancy cookie containers do have a practical purpose. 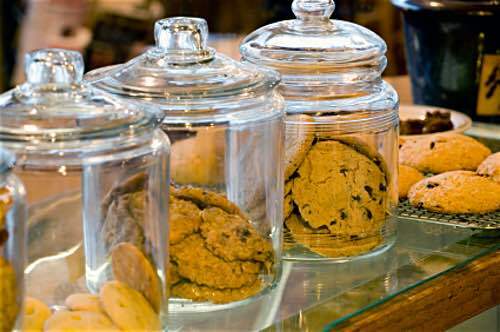 Storing your homemade cookies in a jar with a tight seal helps to keep them fresh longer; they will retain their moistness, or if gingersnaps or biscotti, their desired crispness. There's no right or wrong reason to buy a particular cookie jar. Buy one simply because you love its appearance or because it evokes fond and pleasant memories, and you can't go wrong. In local gift shops and online, you'll find a large selection of Collectable Cookie Jars at very affordable prices. There's everything from nostalgic, vintage styles to movie and TV inspired containers. Your kitchen needs a special container to hold your homemade cookies to be warm and inviting. Why not treat yourself and get a special one that reflects your personality today!